Need To Get CPR Certified? Register Now! Fun, Hands-On CPR for the Public. 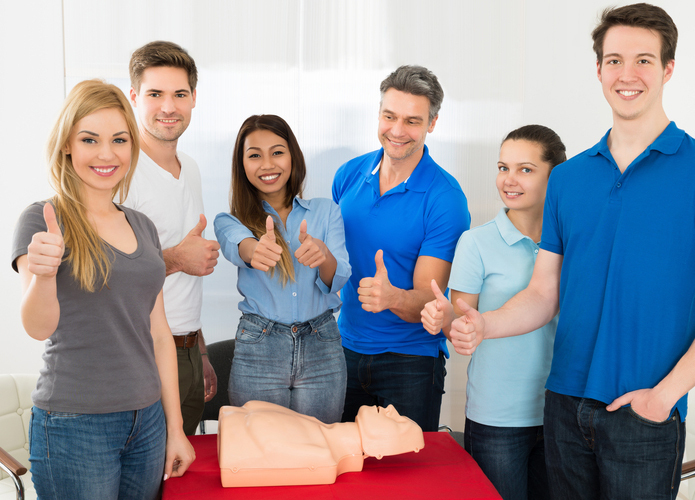 This American Heart Association CPR class is designed specifically for individuals with NO Medical Background and who are NOT Healthcare Professionals (such as doctors and nurses). This class is for anyone who needs a basic CPR certification for adults, children, and infants. This course includes teaching about basic CPR including chest compressions and rescue breathing, AED training and choking intervention. 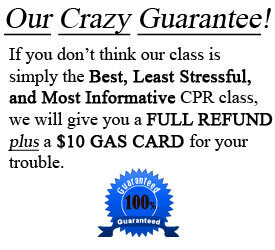 At the end of class, you will receive an American Heart Association 2 year certification card. -Receive Your 2 Year Certification CARD SAME DAY as Class! 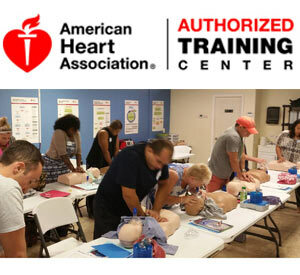 The American Heart Association’s HeartSaver CPR and HeartSaver First Aid Courses provide the most up to date knowledge regarding life saving procedures that can be performed by people without a medical or healthcare background. 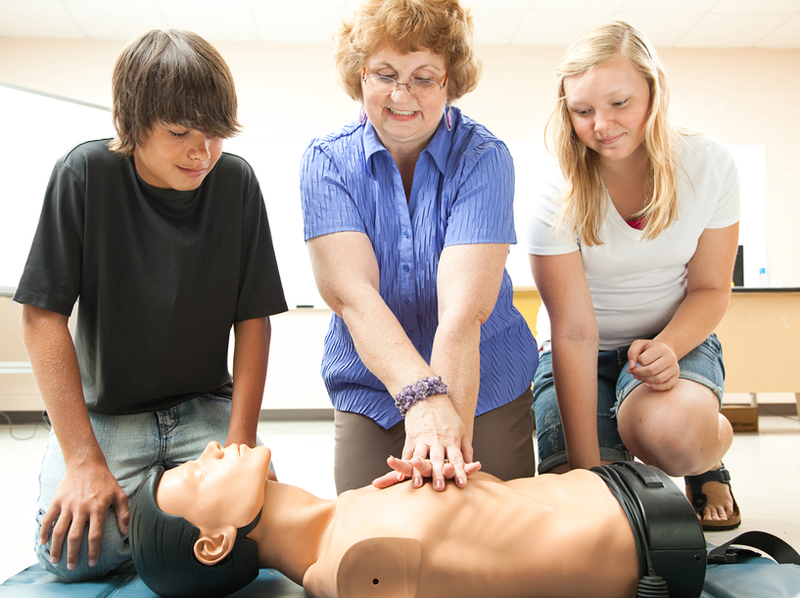 This course will train you for emergency situations on adults, children and infants. This is the preferred CPR for lifeguards, personal trainers, babysitters, moms, dads, grandparents, expecting mothers, construction workers, plumbers, electricians, teachers, coaches, athletic trainers, retail stores, businesses, offices, and anyone without a medical background that wants to learn CPR with the use of an External Automated Defibrillator (AED). 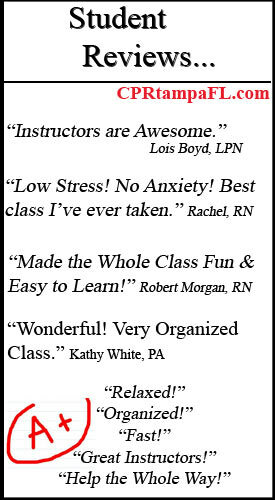 Our instructors are AHA certified and all have a medical background such as registered nurses, paramedics, etc. 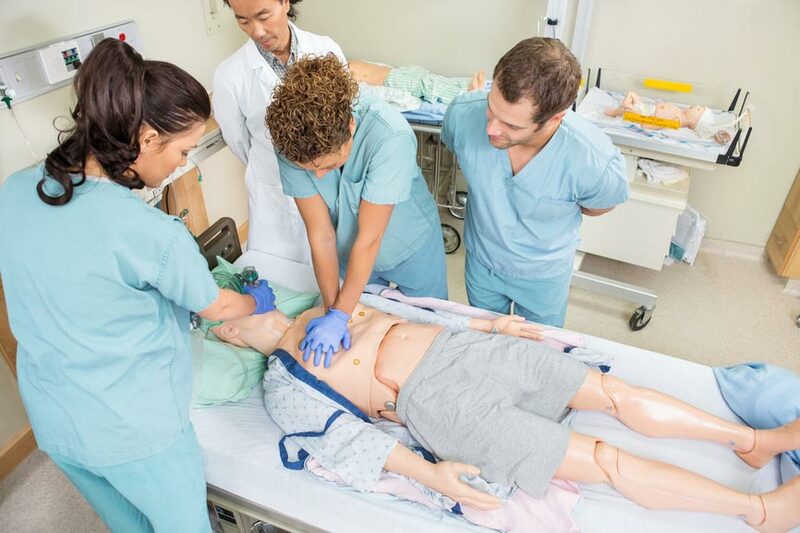 Their goal is to make the class fun as they teach you all the correct procedures according the the AHA guidelines. They are helpful and very friendly. 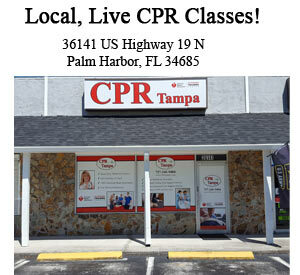 CPR Tampa’s overall promise is to provide the best CPR Class Palm Harbor has to offer! 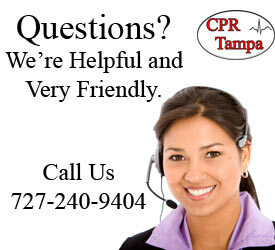 If you have questions please email us at info@cprtampafl.com or call us at 727-240-9404.